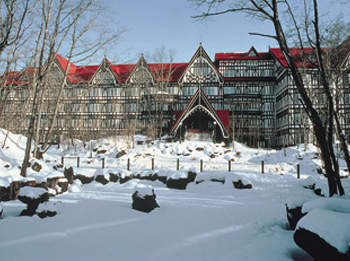 Hotel Green Plaza Karuizawa is a Northern Europe-style resort hotel on the plateau at the foot of Mt. Asama. 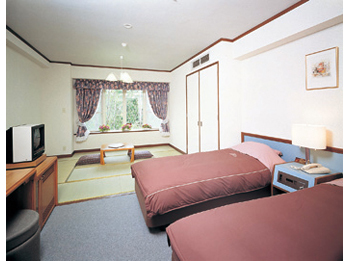 The hotel offers varieties of pleasure; hiking in spring, summer resort as ten degrees temperature difference between Tokyo, autumn tint and skiing in winter. Leasure land, church and golf course are in the hotel’s premises. 45 minutes on bus from JR Karuizawa Station bound for Manza Kazawaguchi and get off at Princeland -mae. 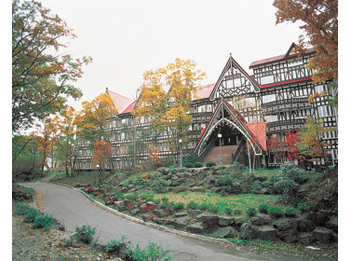 35 minutes by taxi from JR Karuizawa Station.